Backup cameras are made to help drivers with backing and parking. With a backup camera, you can avoid backing over the garbage can as you leave for work in the morning. If you have trouble parking, the system can give you a detailed view of what is behind the vehicle, so you can avoid hitting parked cars or other objects. Most importantly, backup cameras are meant to lower the rate of accidents and injuries caused by a driver backing over someone. There is an average of 210 deaths and more than 15,000 injuries each year that are related to backing up a vehicle. Most of these incidents involve small children because they can’t be seen in the rear-view mirror. 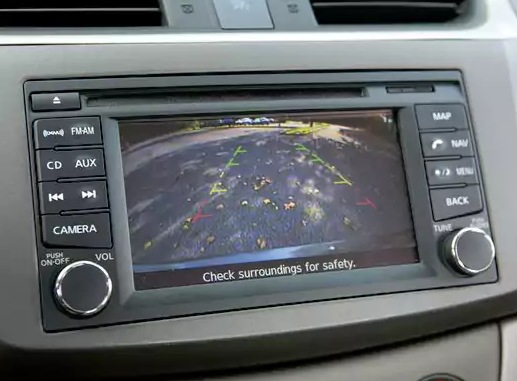 Backup cameras make a great addition to any vehicle, but one must use it correctly. Here are some ways backup cameras can have a negative affect if the driver isn’t careful. Backup Cameras Encourage Distracted Driving. Rear-view cameras can cause distracted driving in a variety of ways. Owners of camera systems that have tiny displays sometimes find that they take their attention from driving to squint and scrutinize the small picture. Cars and camera models with large screens present the opposite effect because the large cinematic display can lure the driver’s eyes away from the road. If one is aware of this, it can prevent them from being distracted and use the backup camera for its benefits. Complex Controls. Some camera systems either don’t switch on automatically when backing, or they have loads of features and settings that take the driver’s focus away from the road. Many newer systems come with “automatic system switching” to help mitigate this problem. With this feature, the system comes on automatically when the vehicle is shifted into reverse. For this reason it is a good idea to spend a little more on a backup camera with the automatic system switching feature. “If It’s Not on the Camera, It Must Not Exist” Mentality. Some people fear that owners of vehicles with backup cameras could become overly dependent on the technology. A rear-view camera gives the driver a larger field of vision than the rear-view mirror, but it does not show absolutely everything that is behind the vehicle. Relying fully on what is seen on the camera screen is unsafe. Looking for Quality Backup Cameras in the Red Bank NJ Area? AutoWorks is a automotive shop that also offers & installs car audio systems & electronics to towns in the Monmouth County area. We serve serve towns including Middletown, Red Bank, Oceanport, Rumson, Little Silver, Marlboro, Manalapan, Long Branch, Holmdel, Ocean Township, Lincroft, Shrewsbury, West Long Branch, Fair Haven, and many more. To learn more about our auto electronics and installation services and other services contact us today at 732-671-0225 or visit the website. AutowWorks Located in Middletown NJ offers car window tiniting services, car remote starters, Car Audio and Video installation and Car Accessories including, Wheels and tires. AutoWorks also offers hot rod services.